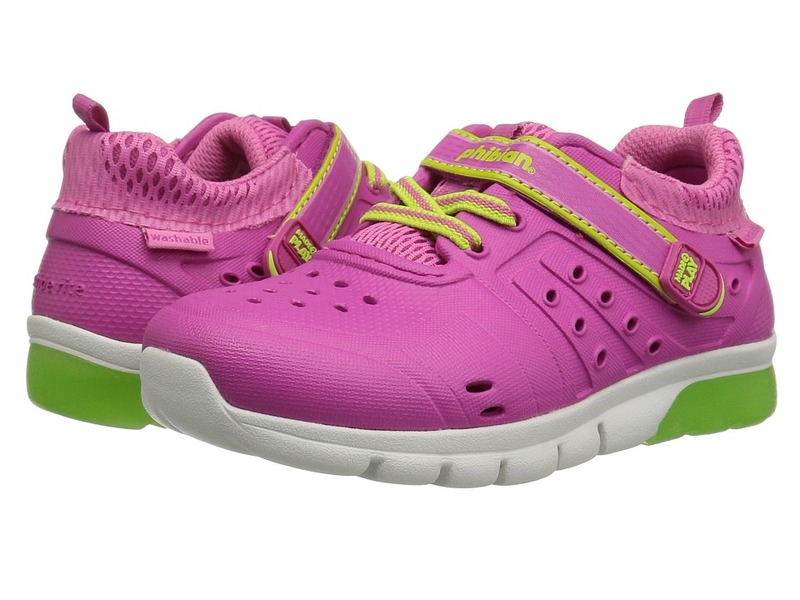 From land to sea, your spirited little one will adore their Stride Rite Made 2 Play Phibian Lighted! Part of the Made2Play Collection. Heel traction pod lights up with every step. Patented Phibian Design. Fast drying, water-ready EVA upper built for a generous fit. Perforated design for breathability. Hook-and-loop closure for easy on and off. Mesh lining and Memory Foam insole for added comfort. Durable synthetic outsole features deep grooves for added grip. Machine washable. Imported. Measurements: Weight: 5 oz Product measurements were taken using size 9 Toddler, width M. Please note that measurements may vary by size. Weight of footwear is based on a single item, not a pair. 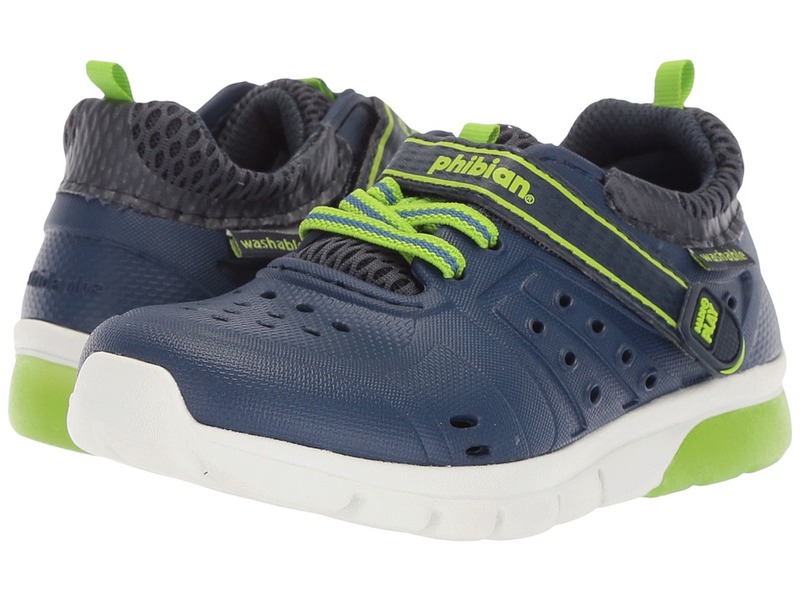 From land to sea, your spirited little one will adore their Stride Rite Made 2 Play Phibian Lighted! Part of the Made2Play Collection. Heel traction pod lights up with every step. Patented Phibian Design. Fast drying, water-ready EVA upper built for a generous fit. Hook-and-loop closure for easy on and off. Round toe with durable synthetic reinforcement. Perforated design for breathability. Lace-up vamp provides a secure fit. Rear pull-tab offers easy entry. Signature logo detailing throughout. Mesh lining and Memory Foam insole for added comfort. Durable synthetic outsole features deep grooves for added grip. Machine washable. Imported. Measurements: Weight: 4 oz Product measurements were taken using size 8 Toddler, width M. Please note that measurements may vary by size. Weight of footwear is based on a single item, not a pair. Let the Spirit Quest boot take you on a journey of style and self discovery! Part of the Double D Ranch by Old Gringo collection that blends comfort, a sure fit, and a beautiful Western fashion element. Deerskin-textured leather upper with whipstitch lacing and silver-tone nailhead accents. 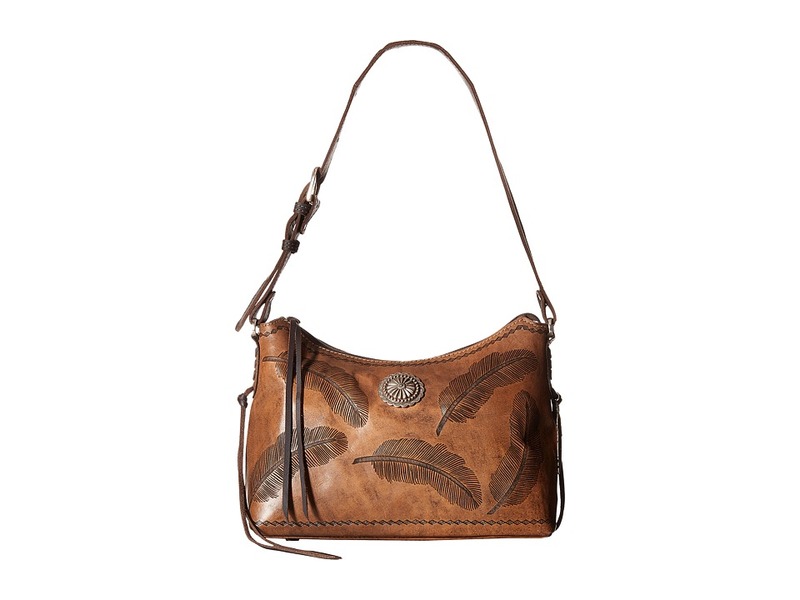 Features beautiful leather fringe detail and Navajo-inspired feather charms along the shaft. Full length zip closure for easy on and off. Soft leather lining for a comfortable next-to-skin feel. Lightly cushioned leather footbed for added comfort and underfoot support. Round toe. Leather-wrapped wedge. Durable leather outsole. Imported. Measurements: Heel Height: 2 1 2 in Weight: 1 lb 9 oz Circumference: 16 in Shaft: 15 in Product measurements were taken using size 8, width B - Medium. Please note that measurements may vary by size. Weight of footwear is based on a single item, not a pair. Unite your carefree spirit with superior comfort in this Woolrich shirt. 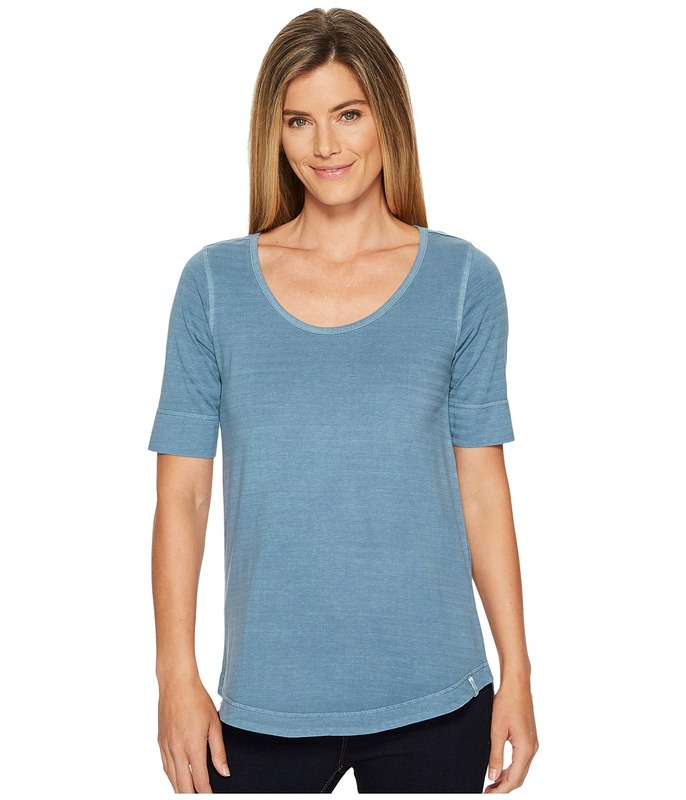 Regular fit drapes the body with an easy, pullover styling. Soft, boulder-washed jersey with a dip-dyed design offers a modern appeal. Scoop neck. Short sleeves. Sewn logo at left hem. Curved hem. 100 percent cotton. Machine wash, tumble dry. Imported. Measurements: Length: 28 in Product measurements were taken using size SM. Please note that measurements may vary by size. Let your patriotic spirit shine in this classic Rock and Roll Cowgirl Tank Top. Relaxed fit tank contours the body with an easy, loose silhouette. Light-and-airy knit sports contrasting stripes. Slip-on design. V-neck. Sleeveless styling. Contrasting patch pocket with screenprinted stars. Straight hem with extended coverage. materials Machine wash, line dry. Imported. Measurements: Length: 27 in Chest Measurement: 16 in Product measurements were taken using size SM. Please note that measurements may vary by size. Add some color to your day and keep your carefree spirit alive in this darling Rock and Roll Cowgirl Tank Top. Relaxed fit muscle tank contours the body with an easy, loose silhouette. Light-and-airy cotton-poly knit sports appealing chevron pattern across front. Slip-on design. Scoop neck. Sleeveless styling. Curved hem with extended coverage. 55 percent cotton, 45 percent polyester. Machine wash, line dry. Imported. Measurements: Length: 25 in Chest Measurement: 16 in Product measurements were taken using size SM. Please note that measurements may vary by size. The versatile Pikolinos Bari flat walks the fine line between free spirited styling and sophisticated design! Upper is constructed of genuine calfskin leather. Easy slip-on design with v-cutout styling. Intricate hand-sewn detailing adorns the toe-box. A combination of leather and textile lining throughout the slip-on. Pikolinos cushioned footbed provides ample cushioning and support. Durable rubber outsole is accompanied with a seamless stacked-heel. Imported. Measurements: Heel Height: 3 4 in Weight: 7 oz Product measurements were taken using size 38 (US Women~s 7.5-8), width B - Medium. Please note that measurements may vary by size. Weight of footwear is based on a single item, not a pair. Allover paisleys are featured on a light and swingy jersey for easy wear. 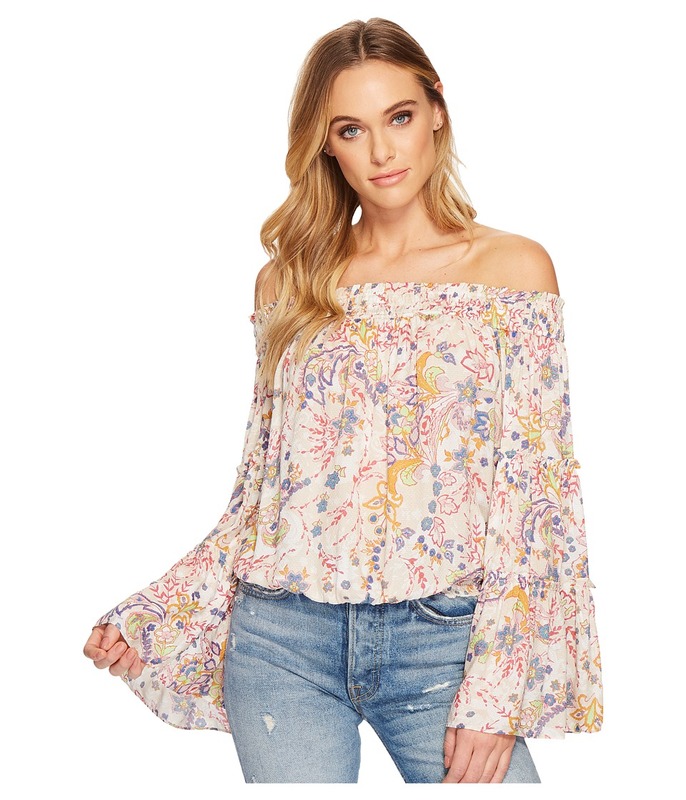 Off-the-shoulder top boasts a relaxed silhouette. Smocked neckline. Long tiered sleeves. Straight hemline. 100 percent viscose. Machine wash and tumble dry. Can also be dry cleaned. Imported. Measurements: Length: 18 1 2 in Product measurements were taken using size SM (Women~s 4-6). Please note that measurements may vary by size. 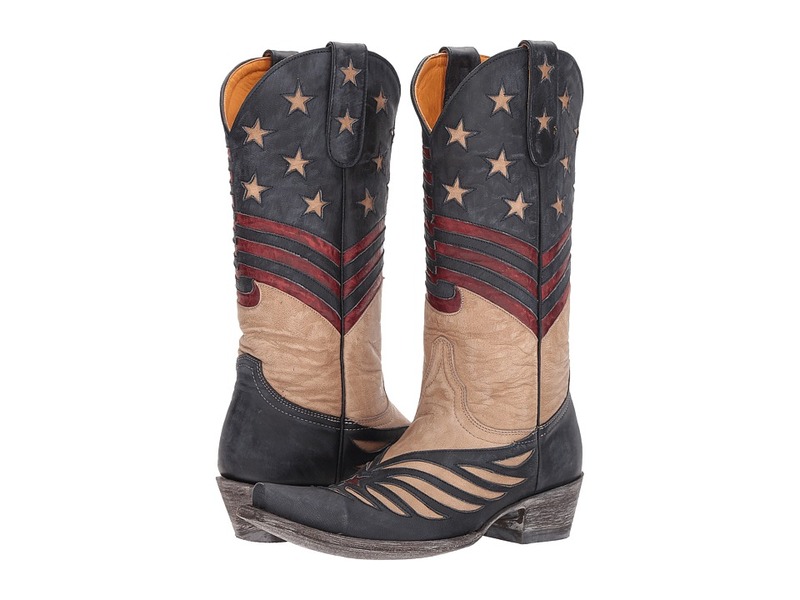 The Old Gringo United boot will show your true American spirit! Handcrafted leather upper with leather inlays and overlays. 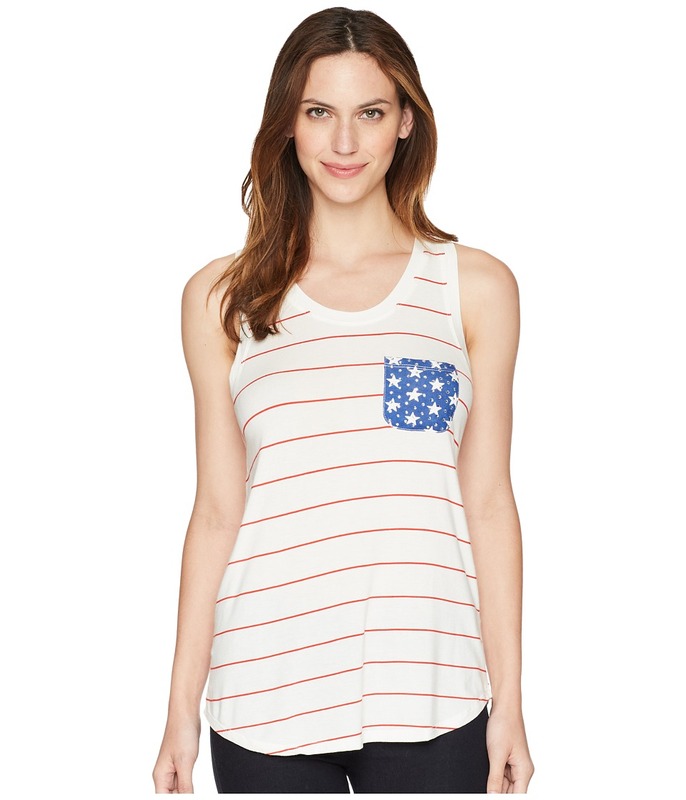 Features star-and-stripes design that echoes the Americana heritage. Sturdy leather pull loops for easy entry. 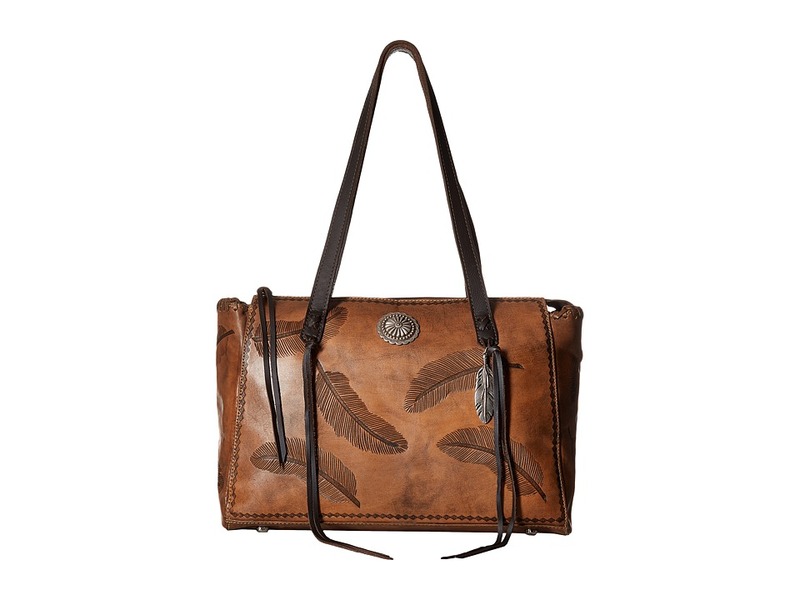 Soft leather lining offers an incredibly comfortable next-to-skin feel. Lightly cushioned leather footbed for added comfort. Distressing on both heel and outsole offer a more vintage look. Snip toe. Scoured cowboy heel. Scoured leather outsole with rubber heel cap for long-lasting wear and excellent traction. Every Old Gringo boot is the culmination of an over 250-step production process performed by their skilled craftsmen. This affords their boots the time to cure in a climate control that ensures a consistency of fit and comfort of wear expected from Old Gringo collectors. Imported. Measurements: Heel Height: 1 1 2 in Weight: 1 lb 6 oz Circumference: 14 in Shaft: 13 in Product measurements were taken using size 8.5, width B - Medium. Please note that measurements may vary by size. Weight of footwear is based on a single item, not a pair. 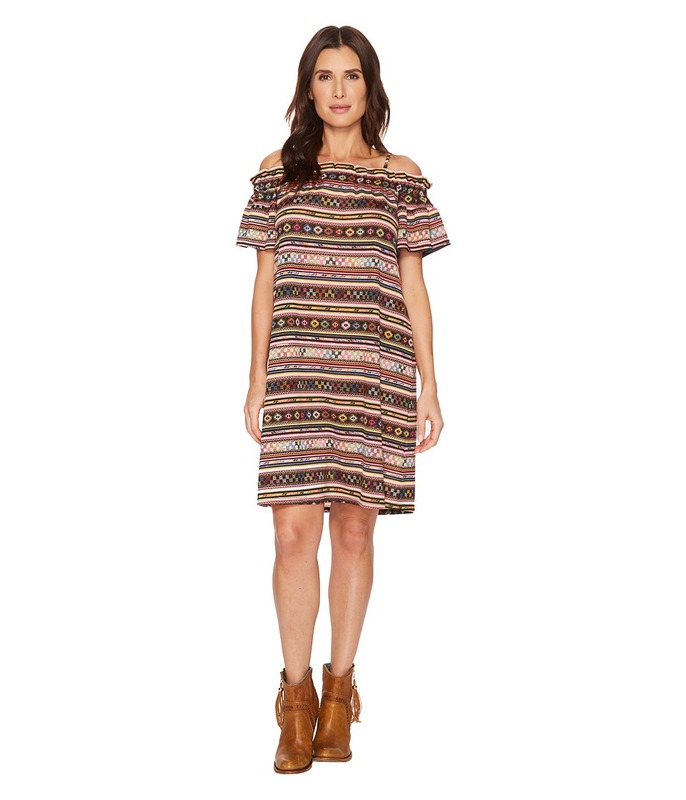 Brighten your mood with a heritage spirit in this alluring Double D Ranchwear Fandango Dress. Relaxed fit off-the-shoulder silhouette drapes the body with an easy, pullover styling. 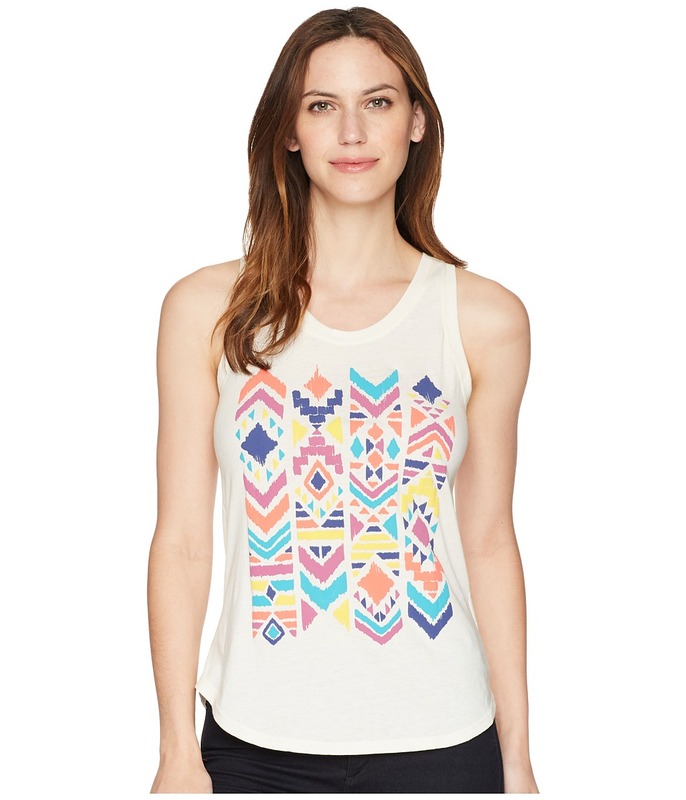 Lightweight weave sports allover Aztec-inspired geometric pattern. Spaghetti straps. Smocked neckline. Short-sleeve with ruffle detail. Straight hem. 100 percent polyester. Dry clean only. Imported. Measurements: Length: 37 in Product measurements were taken using size SM. Please note that measurements may vary by size. 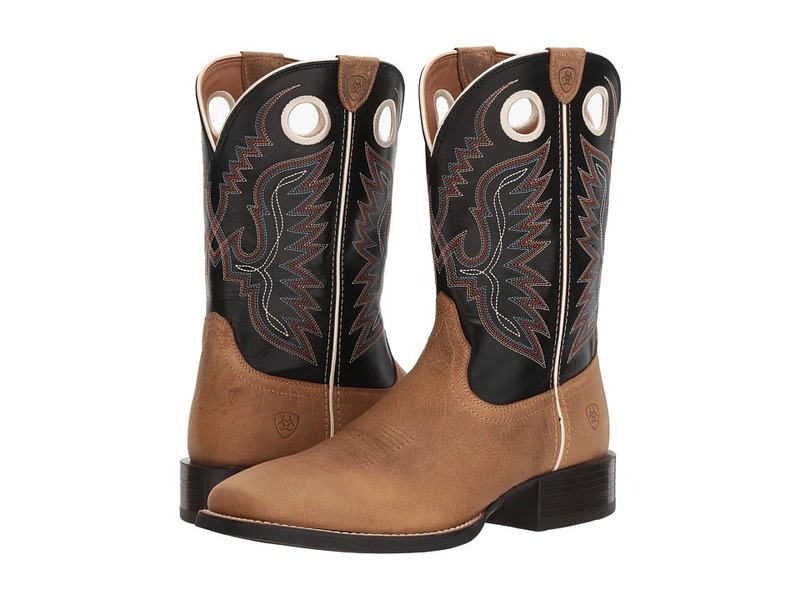 The handsome Ariat Sport Stonewall boot shows off both your Western spirit and style! Distressed leather upper. Features six-row multicolored stitch pattern with added embroidery. Pull-on construction with pull-loops for easy entry. Synthetic air mesh lining. Features 4LR technology that provides support and cushioning with a four-layer footbed and lightweight stabilizing shank for support. Wide square toe design. Highly flexible Duratread outsole provides long lasting comfort. Imported. Measurements: Weight: 2 lbs 2 oz Circumference: 14 3 4 in Shaft: 13 1 4 in Product measurements were taken using size 11, width EE - Wide. Please note that measurements may vary by size. Weight of footwear is based on a single item, not a pair. 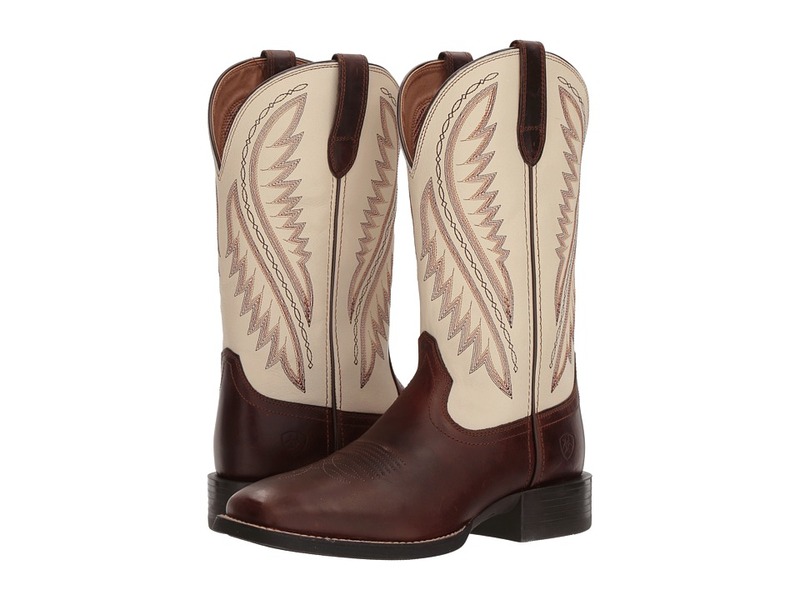 Show off your Western spirit and style with the handsome Ariat Sport Ranger boot! Full grain leather upper. Features six-row multicolored stitch pattern on shaft. Pull-on construction with pull holes for easy entry. Soft air mesh lining for added breathability. Features 4LR technology that provides support and cushioning with a four-layer footbed and lightweight stabilizing shank for support. Wide square toe design. Highly flexible Duratread outsole provides long lasting comfort. Imported. Measurements: Weight: 1 lb 14 oz Circumference: 15 in Shaft: 11 1 4 in Product measurements were taken using size 12, width D - Medium. Please note that measurements may vary by size. Weight of footwear is based on a single item, not a pair. 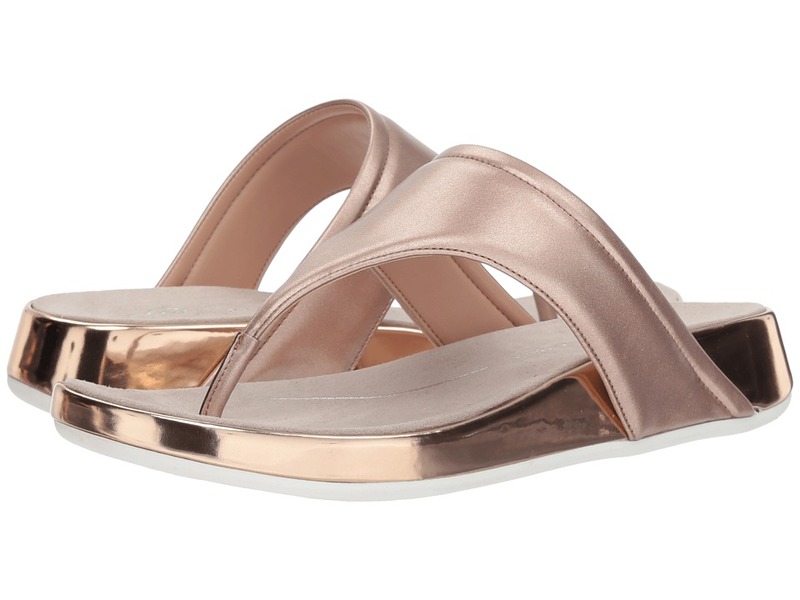 Exude vibrant confidence when you come strutting in the bold styling of the Aggy 3 sandal by Easy Spirit! Upper is constructed of textile fabrics. Easy slip-on design with thong-strap styling. Cushioned footbed is covered in supple microsuede lining. Metallic gold detailing wraps around the midsole. Flexible rubber outsole is adorned with a seamless wedge-heel. Imported. Measurements: Heel Height: 1 1 2 in Weight: 9 oz Platform Height: 3 4 in Product measurements were taken using size 7.5, width M (B). Please note that measurements may vary by size. Weight of footwear is based on a single item, not a pair. 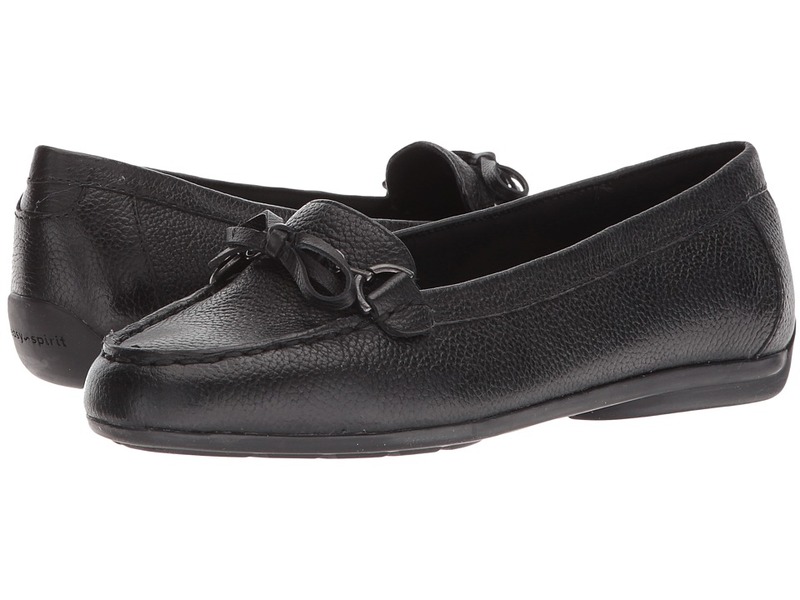 The Easy Spirit loafer is perfect for the modern professional looking for all-day comfort! Upper is constructed of premium leather. Leather bow adorns the upper. Easy slip-on design with classic loafer styling. Insole incorporates seamless arch support for extra stability. Textile lining is soft to the touch. Durable rubber outsole promotes extra traction and grip. Imported. Measurements: Heel Height: 1 2 in Weight: 7 oz Product measurements were taken using size 7.5, width W (D). Please note that measurements may vary by size. Weight of footwear is based on a single item, not a pair. 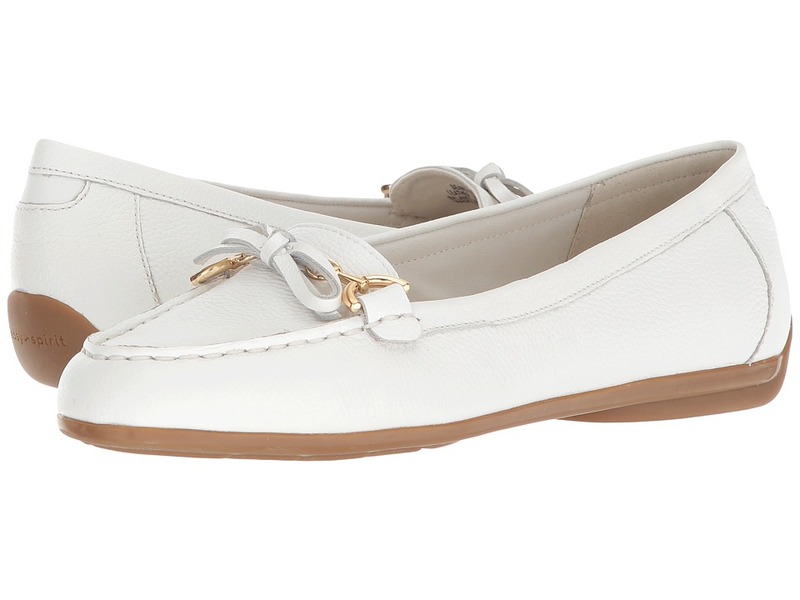 The Easy Spirit Antil 3 is a classic loafer adorned with refined styling and modern comforts! Upper is constructed of premium leather. 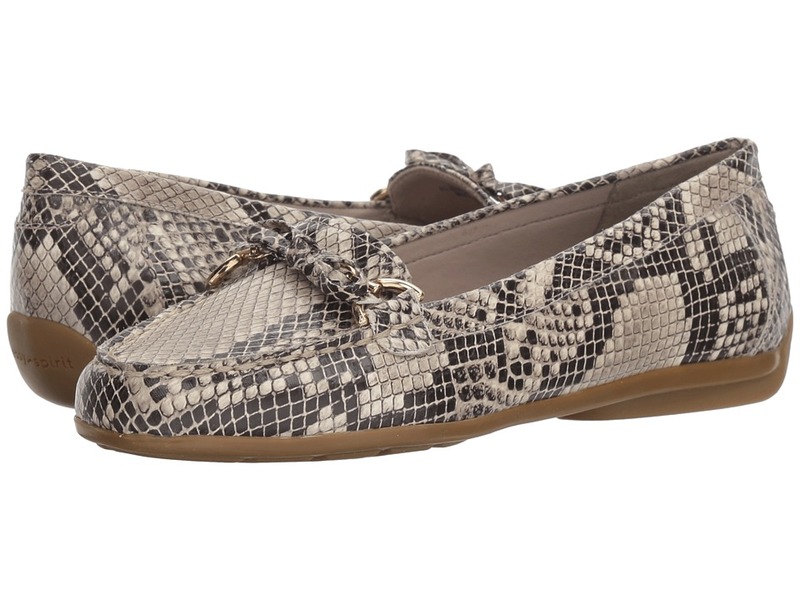 Snakeskin-pattern adorns the entire shoe. Matching pattern bow decorates the upper. Easy slip-on design with classic loafer styling. Insole incorporates seamless arch support for extra stability. Textile lining is soft to the touch. Durable rubber outsole promotes extra traction and grip. Imported. Measurements: Heel Height: 1 2 in Weight: 7 oz Product measurements were taken using size 7.5, width M (B). Please note that measurements may vary by size. Weight of footwear is based on a single item, not a pair. Fun, free, and fashion forward! 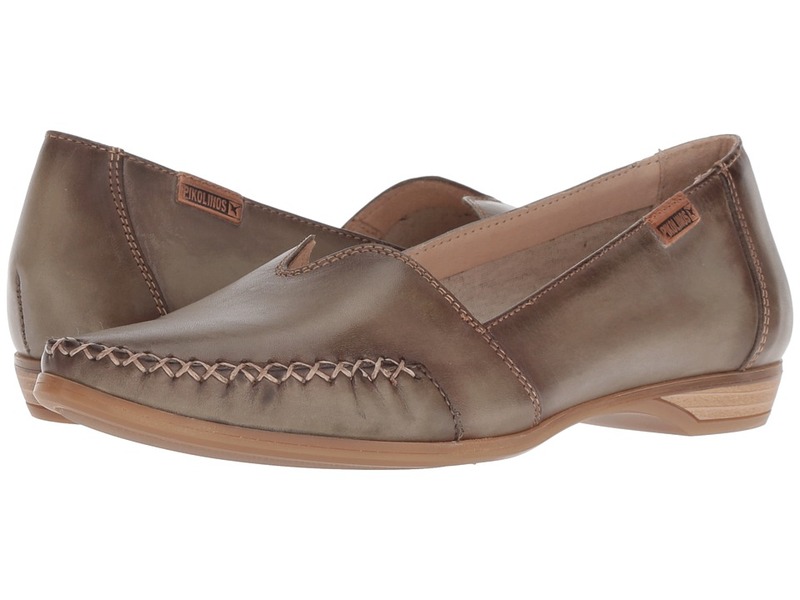 The Easy Spirit Antil 8 loafer delivers a classic design that can be worn all day! Upper is constructed of premium leather. Leather bow decorates the upper. Easy slip-on design with classic loafer styling. Insole incorporates seamless arch support for extra stability. Textile lining is soft to the touch. Durable rubber outsole promotes extra traction and grip. Imported. Measurements: Heel Height: 1 2 in Weight: 8 oz Product measurements were taken using size 9, width M (B). Please note that measurements may vary by size. Weight of footwear is based on a single item, not a pair.